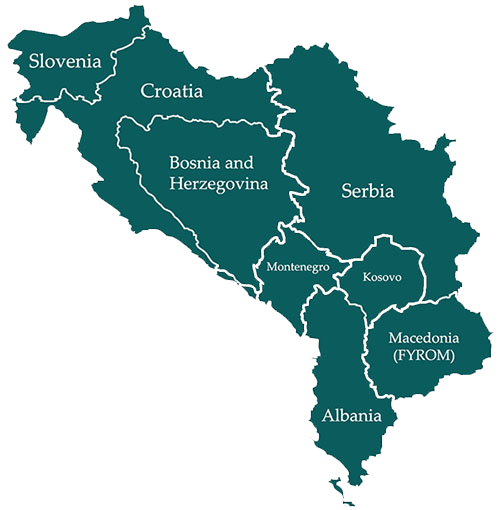 Setting up a vendors business in Adriatic region is expensive and risky. The market is diverse, 7 different languages are spoken in this small region and every country is especially precarious due to strict labor laws and regulations. Often vendors are wary of trying to enter the Adriatic market because they are afraid to fail, as other companies have done before. If they do attempt to enter the Adriatic market, many try to do it with as few risks and costs as possible. Often this means managing our region from the UK, signing with a large distributor and hoping they can drum up sales independently. In the end, this approach does not work well since it is clear to potential customers and partners that there is not a serious investment in the market. Before a company is willing to invest in a new solution, they want to be sure that there is a local infrastructure to support them, both now and in the future. The vendor is unable to find projects or sign channel partners so they won’t spend money, but you can’t find the projects or partners until you invest time and money. Often the vendors tries this unsustainable approach multiple times with different distributors, but never establishes themselves in the market and never gets a profitable share. On the other side, there are companies who made a substantial initial investment, are joining and supporting our sales and marketing initiatives. In recent years these include McAfee, FireEye, Micro Focus, Forcepoint and few others. These companies invested money upfront in their expansion to Adriatic market, with no guarantee of success, as even with a large monetary investment, it still largely depends on the people you hire. History has shown that this is the only way to get projects and to earn money. There has never been a vendor who successfully independently entered the Adriatic market without investing a few thousand of euros in the beginning. By partnering with REAL security d.o.o., companies can successfully enter the Adriatic market with significantly fewer risks and costs. We have a proven model that provides companies with the local infrastructure, knowledge and experience necessary to get resellers on board, introduce technology, train and be successful on this demanding market. We build strong partnership with VARs, managed service providers, integrators and WISPs, with each vendor on its portfolio. Working hard to sign groundbreaking vendors, while also providing partners with every support channel possible, REAL security builds long lasting and sustainable relationships. dispatch confirmation and status emails. Pre-sales support and validation of configuration. Production, testing of designs and assembly of systems.